Los Angeles is a big city where history has been made by musicians, filmmakers, actors and yes, even fast-food restaurant owners. Los Angeles, California: The Movie Capital of the World or as I like to think of it, The Fast Food Capital of the World. Believe it or not, some of your favorite restaurants that are available across the United States were founded in Los Angeles, well, Los Angeles County. Yes, Los Angeles is known for Disneyland, the beaches, and movie stars, but it is also celebrated for its grub. Anaheim; Home of Carl’s Jr.
Anaheim, California is famously known as the home of Disneyland and Disney California Adventure. Anaheim is where the first Carl’s Jr. was founded in 1945, only back then, southern Californians knew it under a different name, Carl’s Drive-In Barbeque. It wasn’t until Carl Karcher decided to open 2 “mini” restaurants, letting everyone know there were supposed to be smaller sized restaurants by calling them Carl’s. 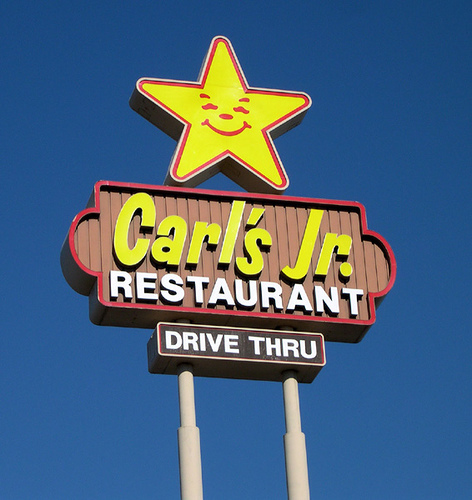 Jr. Carl’s Jr. has since become a favorite across the United States. You can even visit three different variations of the restaurant: Carl’s Jr, Carl’s Jr. Green Burrito and Hardee’s. Glendale, California or The Jewel City, was named the third largest populated city in Los Angeles in 2014, and is home to one of the most well-known ice cream shops, Baskin-Robbins. Founded in 1945 by brothers-in-law Burt Baskin and Irv Robbins, who each owned their own ice cream parlor, decided to merge companies and thus became the birthing of Baskin-Robbins 31 Flavors. Baskin-Robbins becomes more prosperous each year. After years of a successful ice cream shop that was franchised across the county, Baskin-Robbins began selling their ice cream in supermarkets, so patrons could own a pint of their favorite unique ice cream flavor out of the 31-flavors that Baskin-Robbins carries. Baldwin Park, California, home of the first drive-thru hamburger stand in California that could take orders through the two-way speaker system, rather than a carhop coming out to take the order. The fast-food chain has been praised to be home of one of the best burgers in the country. Their fresh and all-natural ingredients on every burger are what have helped them keep a loyal fan base for years. I am of course talking about In-N-Out Burger. 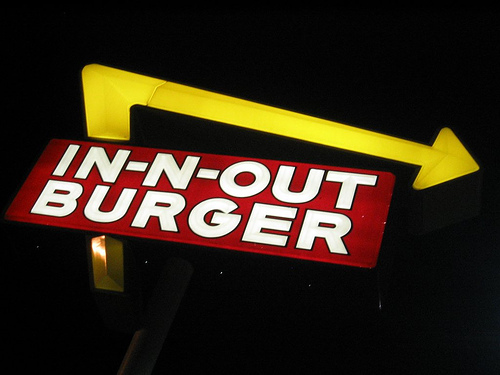 In-N-Out Burger has become an all-time favorite for Californians because of their juicy burgers, all natural French fries and scrumptious milkshakes. This burger joint has topped many “best burger” lists across the country and continues to expand their network each day, with current plans to open up in Texas.